Bhigwan is actually not a declared bird sanctuary but best place to see flamingos in Maharashtra and known as Bharatpur of Maharashtra. The bird watching place is a small dusty town around 100 kms away from Pune, on the backwaters of Ujani dam. 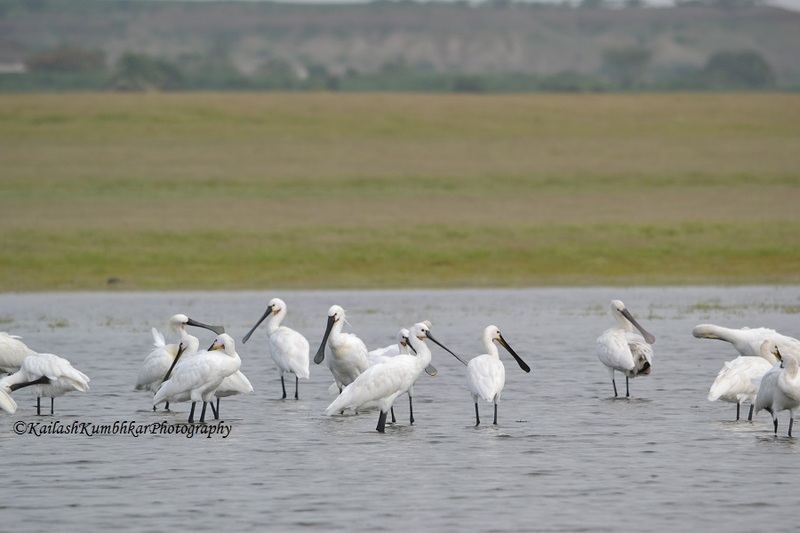 Variety of Birds at Bhigwan are Ducks, Herons, Egrets, Raptors and Waders. By Road – Travel in their own vehicle on Solapur Highway around 105 km from Pune. One can travel to Bhigwan by the ST (State Transport) Buses for Solapur. By Train, One can reach Daund and hire a local taxi to Bhigwan. Or There are 3 trains, passes through the Bhigwan town. Drive 105 km on Pune Solapur Highway, At the town of Bhigwan turn left below the flyover for Diksal village. For Kumbhargaon, drive 5km from the Bhigwan town flyover on highway, take left from the water tank next to service lane. Best Time to visit Bhigwan Bird Sanctuary is during the migratory season, From October to February. By the time of summer season when water level is low, you can just walk around the lake on grass and capture the little birds. Diksal and Kumbhargaon are two most popular places for bird watching in Bhigwan. 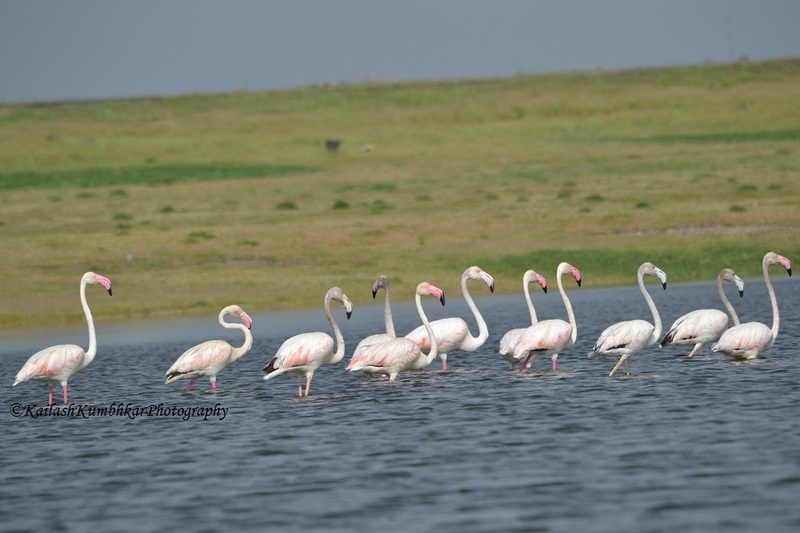 You can go for boating on the backwaters of Ujani dam for a closer photography of pink flamingos and other water birds. 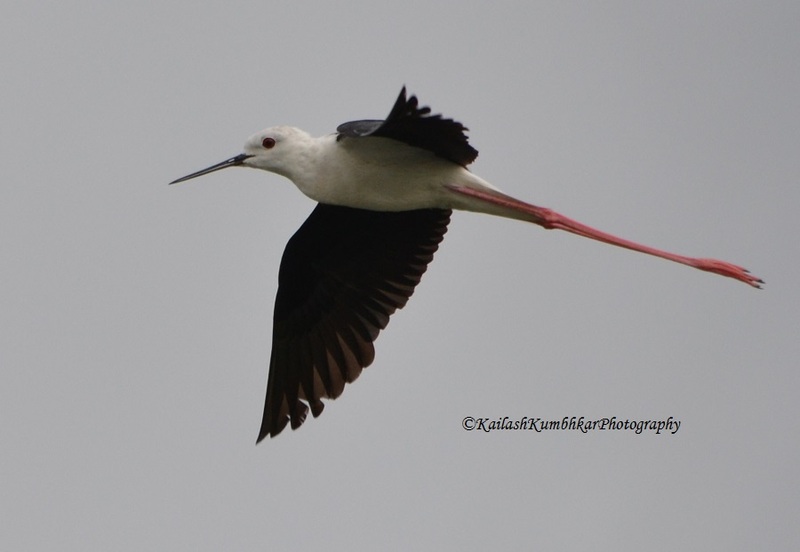 Follow the link for see bird photography at Bhigwan and about the list of birds such as,greater flamingo, Eurasian spoonbill and Black winged stilt. 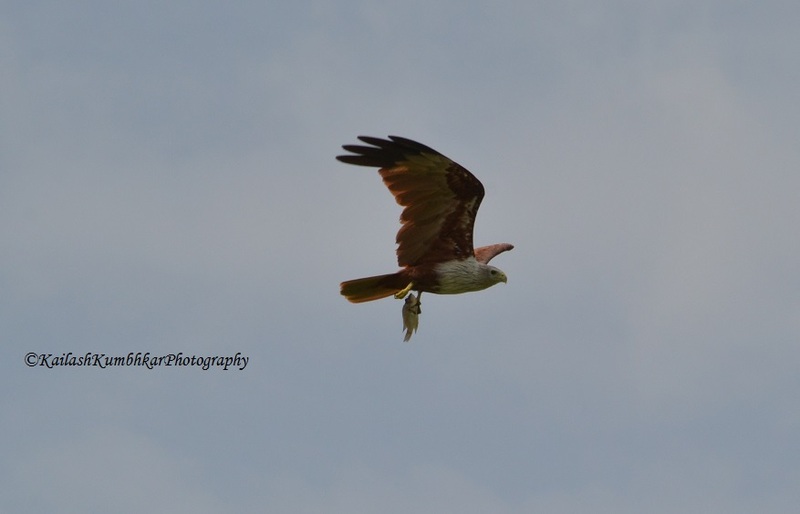 Tilapia Fish found in the backwaters of Ujani dam, Osprey and Brahminy kite can be spotted while fishing. There are two near by wildlife sanctuaries, Mayureshwar Chinkara Sanctuary and Rehekuri Blackbuck Sanctuary. Both sanctuaries are famous for healthy population of Blackbuck and Chinkara deer. Follow the link for 5 days best Itinerary from Pune on Solapur Highway for bird watching, wildlife and temple tour.